After watching the movie 300 rise of an Empire, I was thoroughly impressed by the intensity of the character Themistocles in it. And also, since it had been quite a long time since I drew anything, gave it a shot. In the learning stages, so yes there’s a lack of perfection. But for a change, rather than using the “Dodge and Burn” tool, used the right colours to better understand the colour mix. 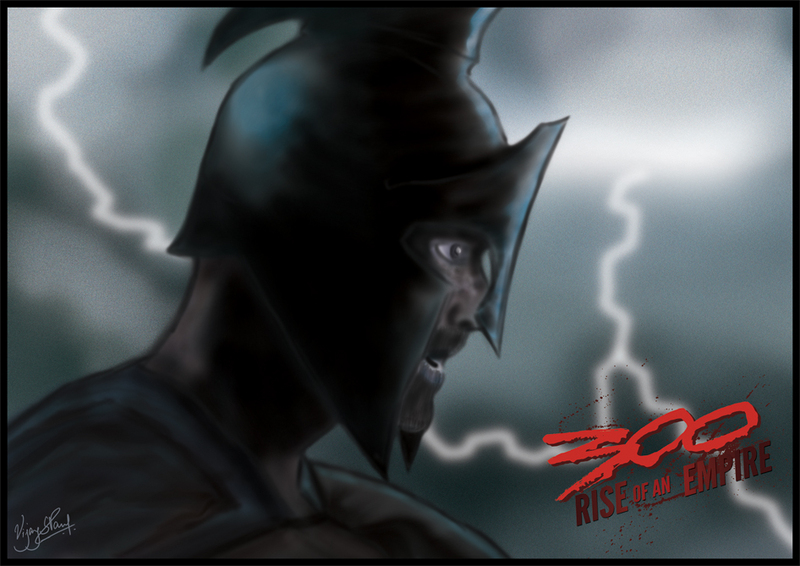 The letters “300” above, got from the web, whereas “Rise of an Empire” has been written using League Gothic Font. About 6 hours of sitting and drawn with my Wacom Bamboo One CTE 460 Tablet. Previous Previous post: Dear Youth! Why Aren’t You Voting?